Dr. Stein is board certified in cardiovascular disease and internal medicine. He joined the UW Medical School's Cardiovascular Medicine Division in 1996 and serves as Director of Preventive Cardiology. He also is Director of the Vascular Health Screening Program. Dr. Stein has been named one of Madison's "Top Docs" in Cardiology by Madison Magazine since 2000. In 2007 he was named one of the 20 best cardiologists in America by Men's Health Magazine. In 2008 he was named one of the 20 best cardiologists in America by Women's Health Magazine. Dr. Stein has received several awards for excellence in teaching from the medical students and residents. He also received the American College of Cardiology W. Proctor Harvey Young Teacher Award for Excellence in Teaching. 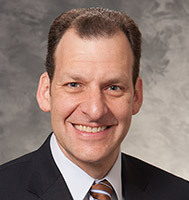 Dr. Stein is a Fellow of the American College of Cardiology, the American Heart Association, the American Society of Echocardiography, and the National Lipid Association. Dr. Stein's research interests include ultrasound assessment of atherosclerosis, endothelial function and clinical trials in preventive cardiology. Specific interests include the detection and characterization of subclinical atherosclerosis in patients with sleep apnea, tobacco use and human immunodeficiency virus, and the use of carotid intima-media thickness (CIMT) measurements for determination of "vascular age" and cardiovascular risk prediction. Dr. Stein has directed the core CIMT and/or brachial artery ultrasound laboratory for several multicenter research studies.